A country in Central America, Belize is known for being a tourist destination with deep Mayan roots. Belize is the second smallest country in Central America with only about 345,000 people, while one-fourth of its population is located in one metropolitan, Belize City (CountryWatch). A fairly new independent country, Belize has remarkable freedoms for their citizens. Reporters Without Borders 2015 World Press Freedom Index ranks them 30 out of 180 countries; this is nineteen spots higher than the United States. Although this is a drop from the 2014 rankings where they were placed 29th, it still displays the freedoms given. Just like many of the other countries in the Americas, indigenous people roamed the lands prior to the arrival of Europeans. In Belize, around 1500 BC Mayan civilization began to develop off the Belize River. The location was picked due to the “cultivation of maize.” The Mayans were a highly developed and educated group of individuals who excelled in mathematics, astronomy and calendars. The Mayan culture still plays a big role in the country today, especially in the economy with the tourism industry. Since the first European explorers in Belize were pirates, the records of exactly when or who the first settlers were unclear. However, there are two possible accounts of the first settlement, one in the early 1630s and the second during 1638 to 1640 by Captain Wallice. Britain began to colonize the area, partially due to British settlers interested in the woodcutting business. It was not until the Treaty of Paris in 1763, that formal recognition was given to the Colony of British Honduras (Belize being part of it) (Bolland). In 1862, they became known as a “crowned colony” and were granted a representative government. It was not until 1964 that they became able to have a “full-internal self-government” (CountryWatch). 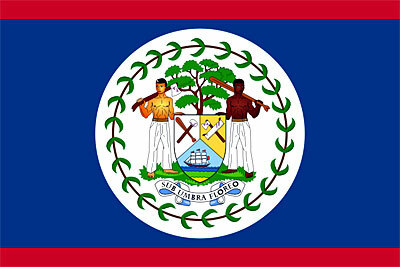 Finally on Sept. 21, 1981, Belize gained independence and entered into statehood. Today, the Belizean government reflects British influence as it is still a member of the Commonwealth. The government is a parliamentary democracy, with a Governor General who is selected by Queen Elizabeth II and the executive leader is the Prime Minister, appointed by the people. In 2015, the Governor General was Sir Colville Young and the Prime Minister was Dean Barrow (Political Handbook). In the 1990s, Belize’s population saw an increase with refugees from Guatemala and El Salvador. Belize’s neighboring countries are Mexico and Guatemala. Sharing borders with Guatemala has given Belize “long standing issues with Guatemala” (Annis, pg. 51). For many years there has been violence along the border of the two countries. The dispute has been over a piece of land that Guatemalans believe is rightfully theirs. It took Guatemala five years before they recognized Belize as a country in a campaign led by Guatemala’s former president, Vinicio Cerezo Arévalo (Sanchez). According to Sheldon Annis’ book Poverty, Natural Resources, and Public Policy in Central America, tension still exists today between the two countries. This statement explains that no person shall be denied certain rights based on where he or she is from, beliefs, gender, etc. It exemplifies the basis of human rights for all. Unfortunately, these rights are not always protected as they should be, based on the written words in the Belize Constitution. Belize, felt oppression and inequality in the workforce and at home. However, they felt that they could not speak up “‘without feeling threatened’” argued feminist Cynthia Ellis (Macpherson). The Belize criminal code section 53 makes it illegal to have sexual relations with someone of the same gender. In May 2013, the United Belize Advocacy Movement leader, Caleb Orozco went to court against the Attorney General of Belize on the constitutionality of the code (Stephens). During his testimony Orozco spoke about the violence and hate speech he encountered in 2012 (Evans). Due to this, Orozco and other members of the UNIBAM have requested certain laws to be legislated against hate speech. However, other citizens feel that these laws will inhibit their personal rights if they “oppose their (homosexual) lifestyle” (Church). An example of this is with Doctor Brendan Bain, the former head of the Caribbean HIV/AIDs Regional Training Initiative Program of the West Indies, who was terminated after 30 years, because of something that was said in his testimony for the Orozco v. Attorney General case (Church). The UNIBAM along with 32 other gay advocacy groups pushed for the West Indies College to fire Bain and the college complied. Protesters in Jamaica and Belize in 2014 held protests “mourning the freedom of speech” (Silent). The protesters were seen wearing tape over their mouths that said “Freedom Under Attack” and held up signs that said “Look who’s discriminating now?” (7News). One of the protesters, Jason Lamb, spoke to PlusTV Belize about how this action is “a direct attack on freedom of speech… it is a form of intimidation and it could set a dangerous precedent that anyone could face.” The case is still going on, but if the code is deemed unconstitutional then it will be a win for the Lesbian, Gay, Bisexual and Transgender community (McFadden), but for some such as Pastor Scott Stirm, who is associated with one of the groups accused of hate speech (Belize Action), feels that “there is definitely a silencing of free speech” (7News). In Belize the freedoms of news outlets can be subjected to prior restraint from the government. The Belize Broadcasting Authority has the power to review content before it is aired and can decide whether or not it is appropriate for viewing. Therefore, the average citizen only views what the government wants them to see about a particular topic opposed to the whole story. The BBA has often applied their power when it comes to stories about crimes and even violence, like in 2012 with stories about the international drug trade (Freedom House). Most media outlets in Belize are privately owned (however, they do have political affiliations) except for the telecommunications company of Belize Telemedia Limited. In September 2009, the government bought the company for government use. This means that whatever is aired or printed through this company is a biased representation of what the government wants portrayed to Belizeans. The buyout from the government has been ruled as unconstitutional, but Prime Minister Barrow has ignored the court’s decision (Political Handbook). Although Reporters Without Borders show that as of 2014 no journalists have been killed or harmed (an “abuse score” of 0), Freedom House does indicate that in October 2012 there were two incidents that were meant to intimidate journalists who criticized the government. The first was with two journalists whose cars were vandalized and the second the tires were tampered with, making them unsafe to drive on (FreedomHouse). Recent events concerning freedom of press are about Belize Telemedia. After the Belize Supreme Court ruled the actions of the government unconstitutional, no actions were taken from the government to rectify the situation. In 2013, the case was taken to the Court of Appeals, however, the decision has been “deferred” for a later time (Freedom House). Similar to the Belize Constitution, the United States offers freedom of speech and press to its citizens through the First Amendment. Both countries’ constitutions state that regardless of a person’s race or gender, etc. they are guaranteed these rights. One difference between the two countries, is the idea of prior restraint. The United States does not allow the government to decide what can or cannot be published. The Nixon administration learned this lesson after they tried to stop The New York Times from publishing the Pentagon Papers. These specific papers were classified documents about government’s dealings in Vietnam. The documents contained information that the general public had not previously known about or information that had been distorted. The New York Times had been given these papers after a source, Daniel Ellsberg, had leaked them. Over several months the newspaper analyzed the papers and wrote a publication about the information the government had tried to previously withhold. Upon finding out about the publication, the Nixon administration ordered the immediate termination of the publication. The judicial branch in Times v. United States, ruled in favor of the Times, allowing the public to get a better understanding of what their elected officials were doing. Unlike Belize, whose BBA has the power to control what their citizens see and hear. The BBA can preview the broadcast and stop something from airing if it criticizes a public official deeming it libelous or too sensitive for public viewing (FreedomHouse). Lastly, the other distinction concerns Belize buying Belize Telemedia. Although certain news outlets in America favor one political viewpoint over the other, none is owned by the government. From the Watergate scandal, Americans learned that it is essential to a free society to have a public watchdog. If it was not for the Washington Post, Nixon may have never been caught and his illegal actions during the Watergate scandal,the public may not have known about. Belize Telemedia being owned by the Belizean government would probably never speak against itself nor expose the government’s wrongdoings to the general public. It would be easy to view the previous section and instantly state that the United States in fact does have more freedoms than Belize. However, one must realize that Belize is a nation that is less than 34 years old and America has had a longer time to develop. America also has flaws, but has been given more time to fix and adjust to better ensure their citizens the freedoms promise in the first amendment. Possibly Belize too will be able to ensure these rights to their citizens and possibly after the court case concerning Belize Telemedia give the journalistic world back a piece of their domain. There is no doubt that Belizeans do have more rights than people in other countries and are guaranteed more of a voice than others throughout the world. “A Protest For Professor Bain.” 7 News Belize. N.p., 23 May 2014. Web. 21 Apr. 2015. A., Sánchez Sánchez Rafael. The Politics of Central American Integration. New York: Routledge, 2009. Print. Annis, Sheldon. Poverty, Natural Resources, and Public Policy in Central America. New Brunswick NJ: Transactions Publ., 1992. Print. “Belize / Belice 1981 Constitution Constitución De 1981.” Belize / Belice: Constitution 1981. N.p., n.d. Web. 13 Apr. 2015. “Belize Freedom of Press 2014.” Freedom House. N.p., n.d. Web. “Belize LGBT Push for Hate Speech and Hate Crime Legislation.” YouTube. PlusTV Belize, 4 Apr. 2014. Web. 21 Apr. 2015. Bolland, O. Nigel. The Formation of a Colonial Society: Belize, from Conquest to Crown Colony. Baltimore: Johns Hopkins UP, 1977. Print. “Church Continues Protest Against Ouster of Professor Brendan Bain.”PlusTV Belize. Belize Christian News, Community, Crime & Accident, Health, International Relations, National Security, Youth, 2 June 2014. Web. 17 Apr. 2015. Evans, Christine M. “Challenging “Unnatural Crimes”: The Connection Between LGBTI Rights and Gender-Specific Sexual Violence Laws in Belize.” Journal of International Human Rights 11.2 (2013): 189-206. Academic Search Complete. Web. 13. Apr. 2015. “Flag of Belize” by Caleb Moore. Licensed under Public Domain via Wikimedia Commons. Macpherson, Anne S. From Colony to Nation: Women Activists and the Gendering of Politics in Belize, 1912-1982. Lincoln: U of Nebraska, 2007. Print. Mowforth, Martin. The Violence of Development: Resource Depletion, Environmental Crises and Human Rights Abuses in Central America. New York: St. Martn’s, 2014. Print. “Silent Protest: Protect Freedom of Speech #BringBackBain.” YouTube. D. Marcher, 27 May 2014. Web. 21 Apr. 2015. “Southern Poverty Law Center.” Outlawing Homosexuality in Belize. N.p., July 2013. Web. 21 Apr. 2015. Stephens, Mark. “Caleb Orozco v. Attorney General of Belize: Upholding Human Rights for All?” The Huffington Post. TheHuffingtonPost.com, 7 May 2013. Web. 13 Apr. 2015. Stewart, Colin. “Belize Action — Worse than Westboro Baptist Church.” 76 CRIMES. N.p., 04 May 2013. Web. 21 Apr. 2015. “2015 World Press Freedom Index.” 2015 World Press Freedom Index. N.p., n.d. Web. 13 Apr. 2015.